Lindsey & Travis’ Maplehurst Farm Wedding was the definition of “Rustic Elegance”! The beautiful gardens and barn of Maplehurst was literally a perfect fit! Both Lindsey & Travis have deep roots in Skagit Valley, and in the farming community. It just made sense to have their wedding here in the beautiful valley that they both grew up in! Lindsey & Travis chose crimson and grey for their main colors (Yes, Lindsay did go to WSU…GO COUGS! ), but wove in lots of champagne, ivory & gold accents…and it really gave the whole wedding that elegant feel they were going for! The soft pink & off white roses, white hydrangeas & beautiful greenery were such romantic florals! Honestly, we just can’t get enough of those soft pink romantic garden roses that were highlighted in Lindsey’s bouquet! SOOOO pretty! Getting ready time is seriously one of our most favorite and (in our opinion), most important times of the wedding day for us to capture. It’s when we get the chance to capture moments like Lindsey’s mom & sister helping her get ready…and her dad seeing his beautiful daughter all ready to go meet her groom! Lindsey & Travis chose to exchange letters with each other before seeing each other for their First Look. The First Look is always one of our favorite parts of the day because it’s so nice for the couple to have a few peaceful, quiet moments before all the excitement of the big day gets started! Lindsey looked SO beautiful in her elegant lace gown and we love that she wore her cowboy boots under that gorgeous dress! It completely fit the “rustic elegance” theme. We were especially excited for Lindsey & Travis’ wedding, not only because they are SO much fun to be around, but they have the sweetest family…and the sweetest black lab pup, June! Lindsey and Travis included Juney in their engagement session and we just fell in love with her super sweet personality. We knew we were going to see the excitement of Juney on the wedding day and take a few pictures of her with Lindsey & Travis before the ceremony which was so much fun! Just wait until you see how elegant the Maplehurst Farm barn looks with all the specialty linens and drapery at Lindsey & Travis’ reception! You won’t want to miss Part 2 of Lindsey & Travis’ beautiful day! Your wedding photos were beautiful just like the couple in them. Love you both. Wonderful photos, a great way to remember such a special day. Simply stunning photography! Helps having some good looking subjects! Linds! These are gorgeous! What a special day!  Thank you Mistry, Scott, and Dane for capturing our special day!! We love and are thrilled that for years to come we can look back at our wedding pictures and remember always how beautiful that day was!! Two beautiful people inside and out! It was the most fun and loving wedding…Love you both sooooo much!